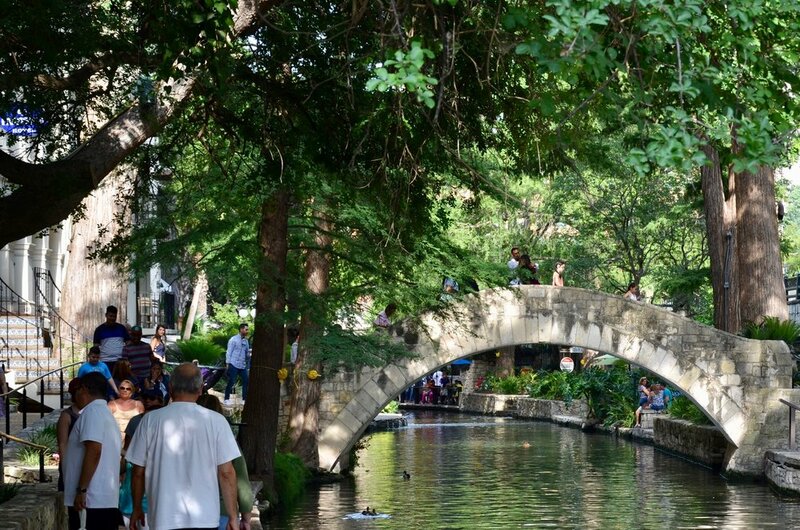 "Hands Down the BEST Tour of San Antonio." Amigo Walking Tours brings together the city's best sights and stories in an unbeatable tour as fun as it is informative. 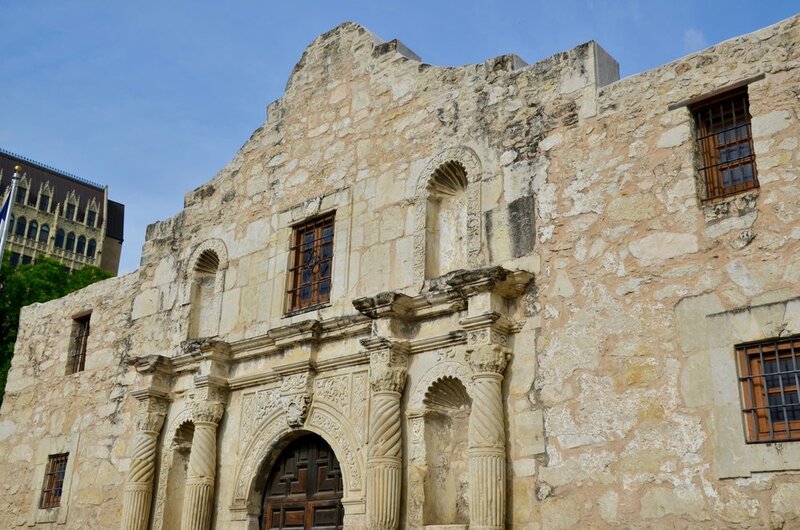 Why did the Alamo move twice and change names? What kitchen appliance made a grand debut in San Antonio? Which US president is known for his love of local mango ice cream? Find out by joining our tour! There's no set price - you tip whatever you feel is fair at the end - so priceless knowledge is guaranteed and possibly a shot at one day winning Jeopardy, all while having a good time and seeing the best sights of the city. Various themes of stories and history are offered on a route from the historic block where San Antonio began to the crown jewel of its skyline. As there’s no set price, every visitor and local has the opportunity to learn the fascinating twists and turns of the city’s past 300 years. The schedule of tours is released one month at a time (usually a week or two beforehand). Reservations must be made at least 90 minutes before the tour time to guarantee the tour. People may show up without a reservation (or with less than 90 minutes' notice), but a tour cannot be guaranteed. Message: Using the 'Contact Us' form below. Want to Tip? Click Here! Have a dinner appointment that can't be changed? Leaving town before the evening tour? Need a gift for the person who has everything? Just want a little extra attention? No worries! 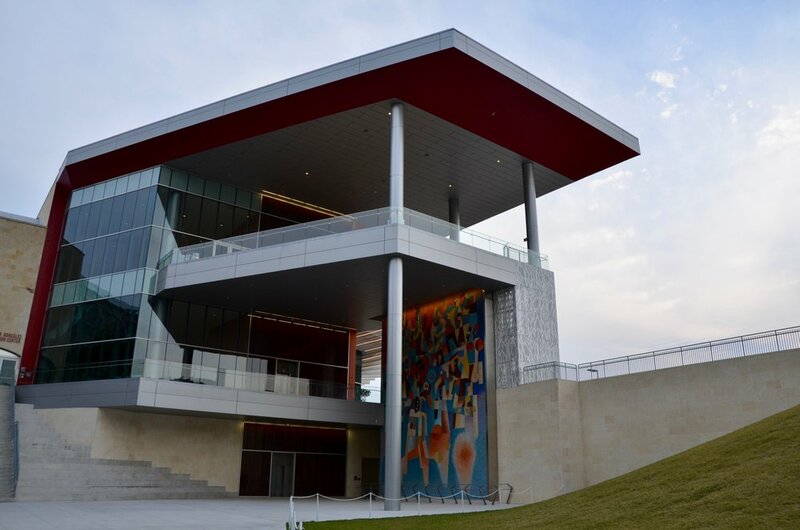 A paid private tour brings all the life and culture of San Antonio to a smaller scale focused on you! To explore availability and pricing for paid private tours, please get in touch on the Contact Us page. Be sure to include the number of people and time/date desired. Make your way to Main Plaza (115 Main Plaza). The tour meets to the left of San Fernando Cathedral's entrance. The group gathers near the statue of St. Anthony ("San Antonio"). By cab/Uber: Ask the driver to take you to Main Plaza / San Fernando Cathedral (115 Main Plaza). By car: There's usually plenty of metered parking near the start of the tour on South Flores Street from City Hall to Kallison's Block. As is always the case, metered parking is free Sundays and after 6pm all other days. For parking closer to the tour's end, the South Alamo Lot next to The Magik Theatre (and across from the Fairmont Hotel) is ideal. For parking more central to the start and end of the walk, Rivercenter Mall can be a good choice. The tour meets in Main Plaza, just to the left of San Fernando Cathedral's entrance. Look for the white statue of St. Anthony ("San Antonio"). Tour guides usually wear an Amigo Free Walking Tours shirt. In summer, wearing cool clothing, comfortable shoes, and a hat or sunscreen will make sure your only regret at the end of the tour is that it doesn't go longer. how do tour reservations work? Reservations must be made at least 90 minutes before the tour time to guarantee a tour. People may show up without a reservation (or with less than 90 minutes' notice), but a tour cannot be guaranteed. To make a reservation, text or call 210-560-0807 or send a message using the 'Contact Us' form below. Please include your name, tour date and number of people. Where does the tour start/finish? The tour begins in Main Plaza, near San Fernando Cathedral. 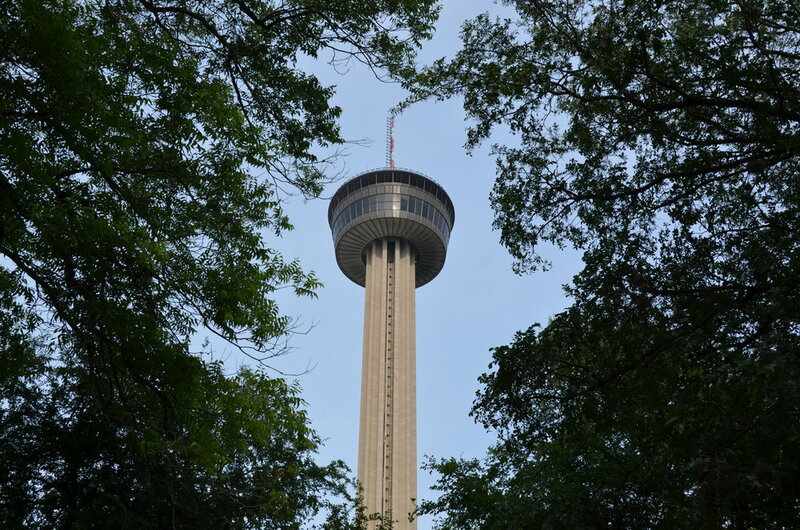 It concludes in Hemisfair Park, between the Tower of the Americas and La Vallita. The tour is about 1.75-2.25 hours long and covers about 1 mile (1.6km). Rain or shine, our tours take place. Fortunately, San Antonio has over 300 days of sunshine! However, we can’t do tours if there’s a chance of lightning. As such, rare events of extreme weather or logistical conflicts may cause tours to be canceled. To confirm if a tour is still taking place, text 210-560-0807. Texas can be very warm in the summer, but tours are scheduled at times when temps are cooler. We take advantage of air conditioning, seating, and shade at many points along the way. Tips are very appreciated, but high-fives, thank you's, and the naming of firstborns after tour guides are equally accepted. Do tips have to be in cash? Guides are happy to receive tips in cash or via Venmo in-person. After the fact, you can tip via Venmo (@AmigoSA), PayPal or here on our website. …cars and frequent flier miles are also happily accepted. Are there rest / water breaks? Yes! Our guides are sensitive to the needs of tour members and will make available multiple opportunities for rest and care. Water can usually be purchased at the beginning and along the way. All ages are welcome, but the tour is best for those comfortable with leisurely walking a mile and listening to some really good stories. There is one necessary staircase on this tour, but the stairs can be taken slowly. If this is an issue for you, let us know, and we'll make alternate arrangements that are more accessible. Once you get to Main Plaza, go to the left of San Fernando Cathedral's entrance. The group gathers near the white St. Anthony statue, and guides usually wear an Amigo Free Walking Tours t-shirt. After going on one of our tours, we love nothing more than hearing about your favorite parts and things you learned. Make our day with a review on TripAdvisor, Google, Facebook, and Yelp! How do I apply to become a guide? It's always great to hear from people interested in giving tours. Just use the Contact Us page to touch base, and we'll go from there. We love hearing from you. So don't be shy; say hello! If you're making a reservation for an upcoming tour, please remember to include the tour date and number of people planning to attend. You can also text (or call) 210-560-0807.
complete the form below, AND We'll get back to you soon! If you're making a reservation for an upcoming tour, please include the tour date and number of people planning to attend.